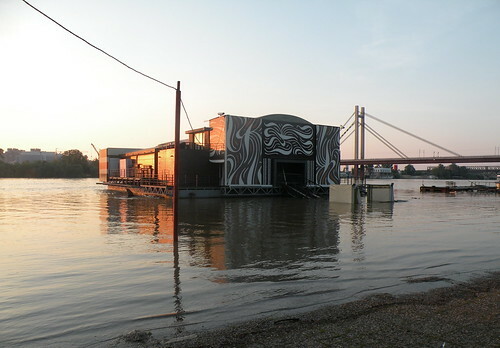 Last weekend we went for dinner on a “splav” or raft on the Sava River here in Belgrade. The splavs are all over the river and consist of bars and nightclub (like the example above with the New Railroad Bridge in the background) restaurants, and private weekend cottages. There is a good article on the splavs here if you want to learn more. The water was so high it flooded the bike path. It is up several meters from its usual depth. We had a snowy winter and rainy spring, and hence the high water situation. The hot, sunny weather finally arrived this week and so we are hoping the rain will go away and we can use the bike path again. Any advice for an US citizen contemplating moving to Belgrade? Belgrade is a very easy place to live! Most expats really enjoy their posting to Belgrade and miss it when they leave. We definitely love living in Belgrade.